Abe Lodwick and Marcus Capers hear things. See things. Sense things. Here they are, poised for big senior seasons at Washington State, and everyone seems to be predicting the Cougars will crash and burn. Virtually every preseason forecast has WSU finishing near the bottom of the Pacific-12 Conference. When Klay Thompson and DeAngelo Casto opted to turn pro and pass up their senior seasons, most people wrote off the Cougars. Lodwick and Capers can’t wait to write a different ending to their college careers. “People think because Klay and DeAngelo left that we forgot how to play basketball, and that really bothers me,” Lodwick says. Lodwick and Capers don’t pretend the absence of Thompson (who is now waiting to see if there will be an NBA season at all) and Casto (who signed a one-year deal to play in Turkey) won’t be felt, but both players say some good can come from it. “I really wish Casto and Klay had stayed … but I just feel, across the board, as a team, we’re more of a unit,” Capers says. Lodwick and Capers say teammates like Faisal Aden, Brock Motum and Reggie Moore have improved from a year ago. Junior guard Mike Ladd, a transfer from Fresno State, averaged 10 points a game for the Bulldogs two years ago. “I feel like our guards can go up against any guards in the country and give them a run for their money,” Capers says. The Cougars don’t have to wait long for a chance to prove the naysayers wrong. 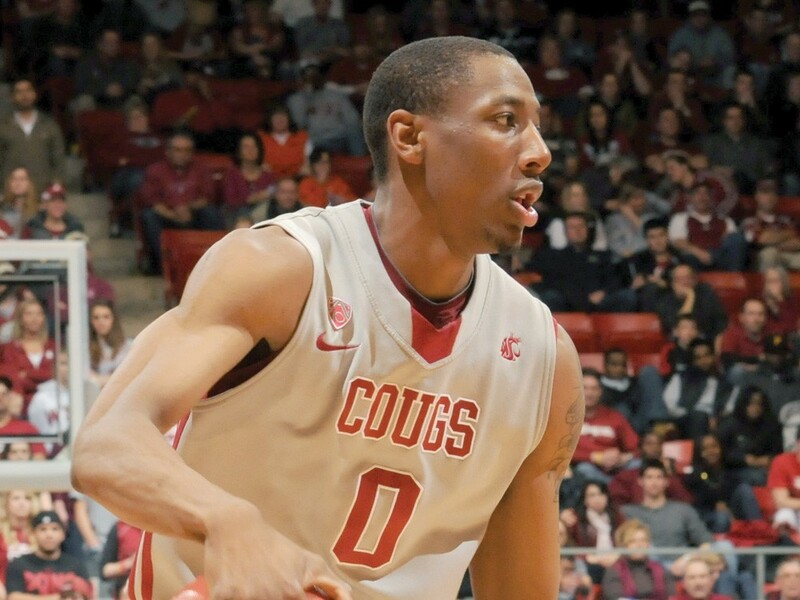 Washington State opens the season on national television Monday night at 23rd-ranked Gonzaga. “As long as we do our roles the right way — and I feel like we’re doing that — no one is going to be able to stop us,” Capers says. Predicted finish: 1st, West Coast Conference (coaches poll). Coach: Mark Few (13th year, 316-83). Opening game: Home versus Eastern Washington, Friday, Nov. 11, 8 pm (SWX; ROOT Sports TV; KGA 1510 AM; KEYF 101.1 FM; KXLX 700 AM). 2010-11 overview: 25-10 overall, 11-3 WCC. Won WCC regular season and tournament championships. Split two games at the NCAA Division I tournament, losing to BYU — a team they will face twice this season. Outlook: The 23rd-ranked Bulldogs return two of the top players on the West Coast in center Robert Sacre and forward Elias Harris. Both averaged about 12 points and six rebounds last season. The development of three highly regarded freshmen — guards Kevin Pangos and Gary Bell, Jr. and forward Ryan Spangler — will be pivotal. Predicted finish: Tied for 10th, Pacific-12 Conference (media poll). Coach: Ken Bone (3rd year, 38-28). Opening game: At Gonzaga, Monday, Nov. 14, 9 pm (ESPN TV; KXLY 920 AM; KGA 1510 AM; KEYF 101.1 FM). 2010-11 overview: 22-13 overall, 9-9 Pac-10 (sixth). Lost in first round of Pac-10 tournament. Advanced to semifinals of National Invitation Tournament. Outlook: The Cougars lost their two best players (Klay Thompson and DeAngelo Casto) when they passed up their senior seasons to turn pro. WSU lacks size, depth and experience up front. Guard Faisal Aden, second on the Cougars in scoring last season (12.9 points per game, mostly as a reserve), can carry a team with his outside shooting when he’s hot. Post Brock Motum and point guard Reggie Moore lend scoring help. Predicted finish: 3rd, Big Sky Conference (coaches poll). Coach: Jim Hayford (1st year). Opening game: At Gonzaga, Friday, Nov. 11, 8 pm (SWX; ROOT Sports TV; KXLX 700 AM; KGA 1510 AM; KEYF 101.1 FM). Outlook: Leading scorer Glen Dean transferred to Utah, but the Eagles return eight lettermen, and new coach Jim Hayford was wildly successful at Whitworth. Tremayne Johnson, an athletic forward who ran hot and cold as a junior college transfer last season, may be ready for a huge senior season. Johnson and guards Cliff Collimon, Jeffrey Forbes and Kevin Winford all averaged about 10 points per game last season, but the Eagles shot just 41 percent from the floor. Predicted finish: 5th, Western Athletic Conference (coaches poll). Coach: Don Verlin (4th year, 50-46). Opening game: At Long Beach (Calif.) State, Saturday, Nov. 12, 2:05 pm (no TV; KJRB 790 AM; KVNI 1080 AM). 2010-11 overview: 18-14 overall, 9-7 WAC (tied for 3rd). Lost in first round of WAC tournament. Lost in first round of CollegeInsider.com Postseason Tournament. Outlook: Center Kyle Barone, the WAC career leader in field goal shooting percentage (63.1), averaged 10.5 points and 5.8 rebounds last season. 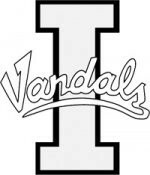 As usual, the Vandals are loaded with junior college transfers, so chemistry and teamwork could be lacking in the early going. Predicted finish: 1st, Northwest Conference (coaches poll). Coach: Matt Logie (first year). Opening game: Home versus UC Santa Cruz (Calif.), Thursday, Nov. 17, 7 pm (no TV; KSBN 1230 AM). 2010-11 overview: 28-2 overall, 15-1 NWC. Won NWC regular season and tournament championships. Advanced to NCAA Division III tournament Elite Eight. Outlook: The 12th-ranked Pirates lost one of the greatest players in school history (Michael Taylor) off one of the greatest teams in school history, and coach Jim Hayford left for EWU. Two starters return: post Felix Friedt, who averaged 12.4 points and 7.3 rebounds, and point guard Wade Gebbers, who averaged 9.1 points and 3.4 assists.